We all would love to visit an extremely exciting vacation spot for the upcoming holidays. Through this article, I am gonna present a stunning glance of an astonishing vacation spot which is a town named “Gokarna”. This is an amazing spot also known for its stunning temples; it is situated on the western coast and located in the South-Indian state Karnataka. Gokarna embraces pretty a lot of immaculate beaches and splendid landscapes, actually Gokarna is a Hindu pilgrimage city and recently became a hub for beach lovers with amazing vacation spot and plenty of luxurious resorts. It would be very exciting to explore the entire town through its streets, and getting the glance of its glorious temples and sightseeing places and finally the heart-throbbing beaches. If you want to reach Gokarna from Banglore via a bus; you can get the direct bus to Gokarna and it is a journey of 12 hours. In order to reach Gokarna from Goa, you have to catch a bus from Canacona or Madgaon after reaching there you will get a bus to Gokarna. The shortest and simplest way to reach Gokarna from Hubli is by bus. You have to catch a bus to Ankola and then from there, you can get a direct bus to Gokarna. If you want to travel Gokarna from Mangalore then the best way to reach Gokarna is by train which takes about 4hrs and 15min. While we explore the whole city we encounter some amazing things that we would definitely opt to do in Gokarna. On the way to Kudle Beach at the peak of the hill lock near to road there are few mud houses and huts. Among those huts some have turned into guest houses and provides free yoga lessons daily in the morning. There are a number of beaches to explore here but the first and foremost activity we must do in Gokarna is; reach to Kudle Beach and take a deep dive into the crystal clear water I assure; this would give you an amazing experience. The crescent shaped Kudle Beach is one among the mesmerizing beaches of Gokarna, Here we can find a mass of tourists playing Football, Volleyball and Water games and at night we can see people chilling, chatting, dancing and enjoying the fire shows. It’ll be great, if we reside near to the beach in a comfy resort, there are many luxurious resorts available but one of the finest resorts near to Kudle Beach is the KudleOceanFront. KudleOcenFront is truly a stunning resort surrounded by thick green trees and exceptional for an exhilarating vacation. 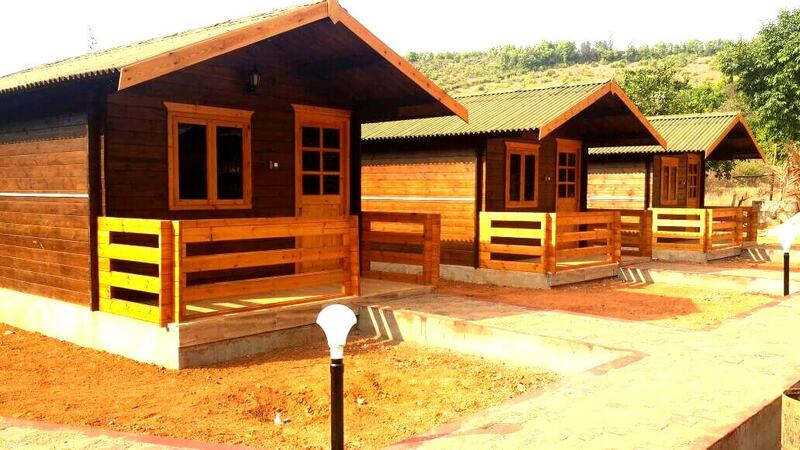 We are offered private pine wood cottages with AC/NonAC facilities within our means; here we find modern amnesties with absolute comfort during our stay. This is the only resort near to Kudle Beach with such a comfy staying services and with absolutely delicious Multi-Cuisines. The facilities provided by Kudle Ocean Front are: it’s wonderful Hammocks & Gardens, WI-FI connectivity, Snooker/ Pool table. We can easily get to the beach from the resort and stay in its peaceful environment of the resort moreover here are Laundry services provided and In-house Restaurants. ← Breathtaking wacky beaches for a perfect getaway in India.